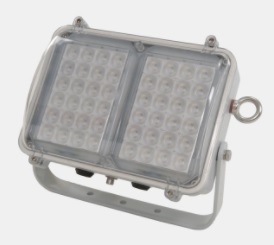 The future of hazardous area lighting is back… and it’s in the form of the HDL106! When this revolutionary product was introduced back in 2009, it was welcomed as the ‘future of hazardous area lighting’. Largely due to its weight and power savings, this little gem has been re-certified and re-tested and is back better than ever with the added bonus of Chalmit’s reputation for quality, reliability and safety. The benefits of LED technology have shaken up the market and can offer up to 50% power savings against conventional HD luminaires. These power savings also have the added benefit of product longevity and can increase the life span of the HDL106, too, offering over 10 years, even if it was on for 24 hours a day – for the mathematicians that’s an incredible 87,600 hours! Complete with a new diffuser, the HDL106N satisfies impact and IP requirements; and comprehensive, stringent testing (both in-house and external) ensures every product exceeds expectations.